Releasing three tracks is kind of a tease, like when you sample mom’s spaghetti sauce before supper. 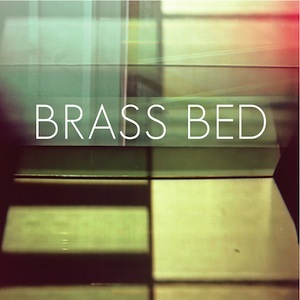 Brass Bed has churned out their follow up to 2010’s Melt White. A Bullet For You is comprised of three songs that plop on the fine line between melancholy and joyful. The reverb-driven title track “A Bullet For You” is a leisurely paced anthem with rattling and peculiar background noises. The song takes a trip down hazy lane at the 2:36 mark, when Christiaan Mader rips a guitar solo. Let us hop right to the end of the second track “Every Time You Make Me”. Brass Bed has their “Pink Floyd” moment in the last 20 seconds, while they shift to the closing piece. The foggy transition can be compared to “On The Run”, the second track off of the prominent Dark Side Of The Moon. “Please Don’t Go” is a weary lamentation driven by Mader and if you tune in closely, a subtle yet beautiful bass line. Accept the tease everybody. You can have more of that spaghetti sauce come 2013 when Brass Bed releases their third full-length.